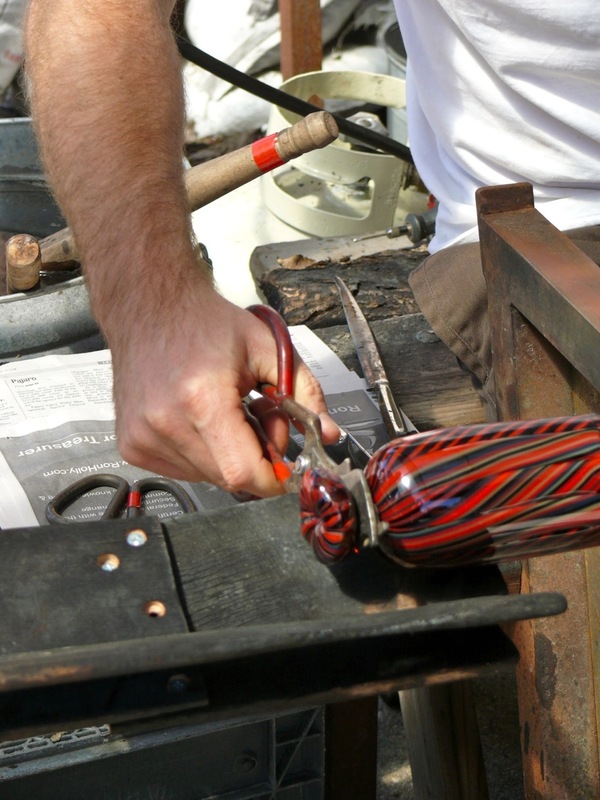 Glass canes are heated and stretched from concentrated glass color bars. 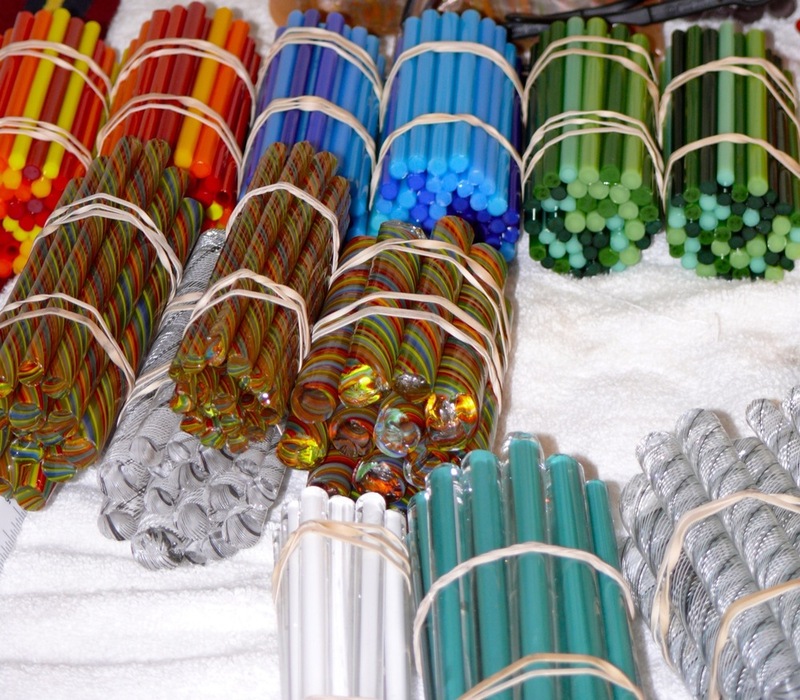 The glass canes are arranged into patterns and then reheated and stretched again to create patterned twisted canes and sliced pieces of murrini. 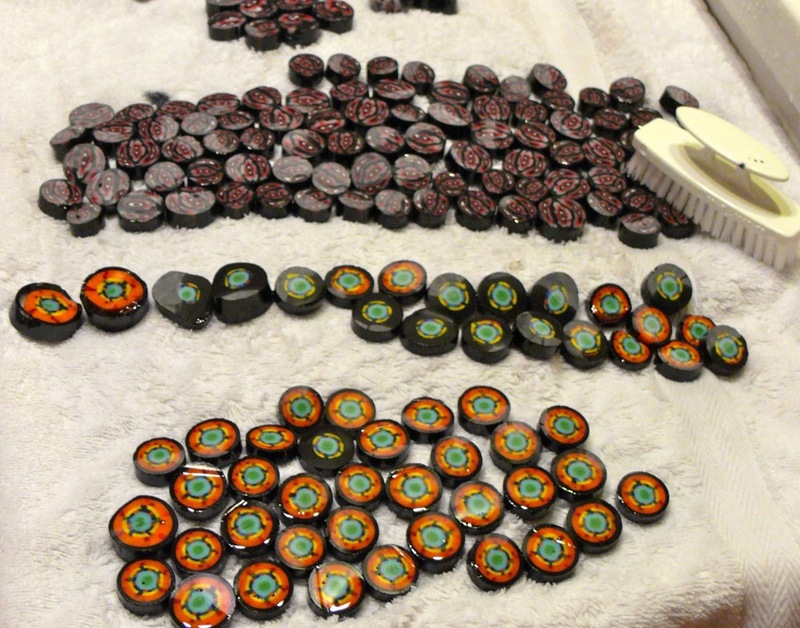 The canes are then arranged into patterns and reheated again to be picked up and blown into a vessel. A high five to Todd Moore my trusty assistant and Alan Masaoka for the photos!